Because seafood tastes so good and can be prepared in countless ways, there’s simply no reason why fish shouldn’t be a part of your every day meals. Not to mention, there is so much variety to choose from. In fact, there is so much variety available you could literally enjoy a different type of fish dish every day for an entire month! Eating fish naturally offers a whole lot of health benefits. For starters, fish is a highly nutritious source of protein. Fish is loaded with omega-3 fatty acids, critical in boosting brain development and packed with vitamin D for strong, healthy bones. Experts have also found fish to be effective in helping prevent heart disease. A study published in Hypertension: Journal of the American Heart Association found that women who ate barely any fish had 50 percent more heart problems than those who ate fish at least once a week. Research has also shown that the omega-3 in fish helps to lower blood fat levels, therefore lowering a person’s risk of heart disease. 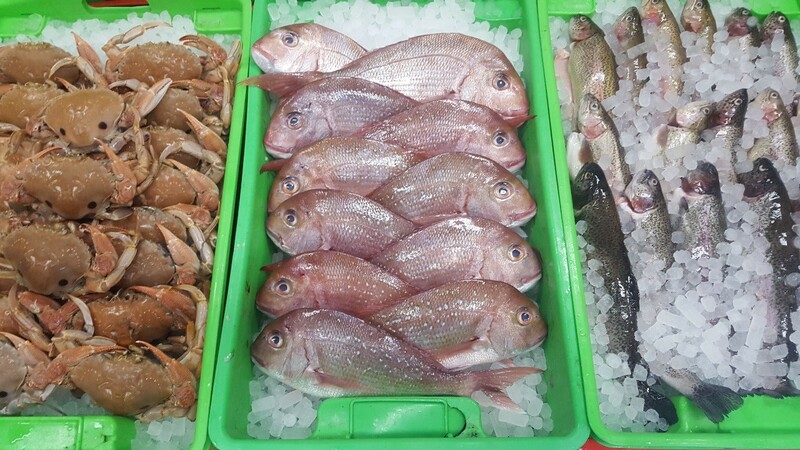 Good quality fresh fish always smells fresh and clean. If you encounter any sort of smelly odour however, then walk away. That is not the fish that you want to bring home to your kitchen. It may sound strange at first but you should look into the fish’s eyes so you can check them for clarity. The eyes should be full, bright and shiny. If you are opting to get some fillet pieces, you should pay close attention to the flesh. It should be firm, bright and smooth. Flesh should not be broken or flaky. When you look at the skin and scales, you can tell if the fish is a good quality fresh buy. The brighter and more metallic it is, the fresher it will be. Stay away from those with dull and patchy skin. Keep these simple tips in mind the next time you go shopping for some fish. Ideally, when you buy fish fresh, it’s best to cook it within two days. If you have leftovers, you can add them to your favourite sandwich or salad. Fresh fish is both delicious and healthy, which is why it should be a part of your family’s daily diet. © 2016 The Big Fish - All Rights Reserved.